The Eppsteiner Straße will be reduced to half its normal width between Monday, 25th February and Friday, 1st March, 2013. The section affected is in front of house number 13. This is to allow building work to take place. Baroness Bertha von Suttner was an Austrian pacifist and the first woman to be awarded the Nobel Peace Prize. 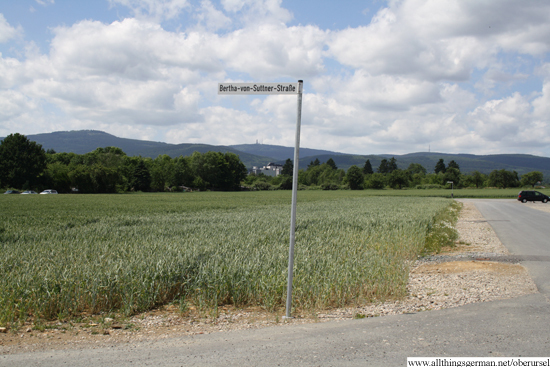 A road in the “Drei Hasen” area of Oberursel that will become a business park has been named in her honour.